If you haven't heard by now, Spider-man is joining the Fantastic Four. 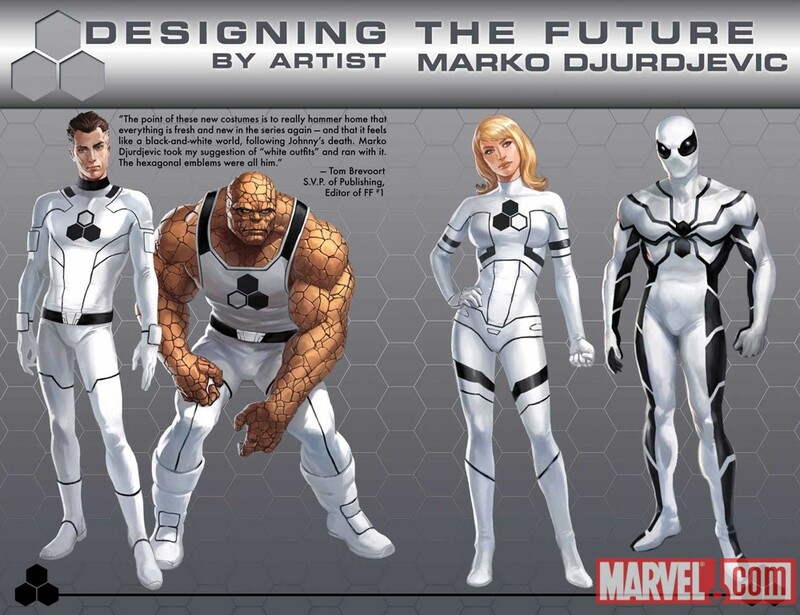 He is taking the place of the late Johnny Storm, the Human torch who "died" in Fantastic Four 587. OK...It makes sense for this move. They know each other for a long time (they met in Amazing Spider-man #1). He has a similar personality to Johnny plus he can help with Reed on his scientific experiments. But PLEASE!!! There are several heroes worthy of being on teams (including this one) but it seems like every team has to have Spiderman, Wolverine and Deadpool in them. Geez! That's one of Marvel's problems. Who would I rather see? She already has history with the team (she replaced the Thing after the Secret Wars), brings most of the same things the Spidey would (strength, fun) plus other ...ahem...attributes. Seriously, I enjoyed her on the team and she deserves another turn. 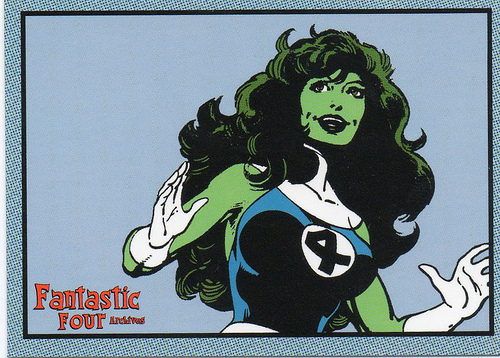 Johnny's "ex-wife," this would be interesting choice given that the wounds of the Secret Invasion are still trying to heal. 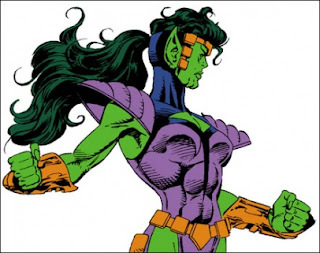 She has the strength, the "bio-blasts" and of course the Skrull's ability to change forms. Some interesting story possibilities could have come from this choice. Guess they decided to play safe. Johnny's ex-flame. 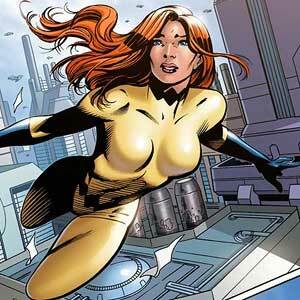 Another hero has has history with the other members, she would probably join out of respect for her ex-boyfriend. And to have someone with the abilities to control all of the elements on your side is not bad either. Even though she no longer has powers, she's still a hero. With the recent death of her other parent (father) in her own book, she's on her own. 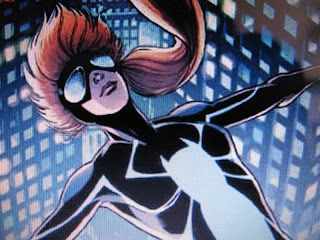 She has a friendship with Sue Richards (Invisible Woman) and Sue knows Anya's secret identity. 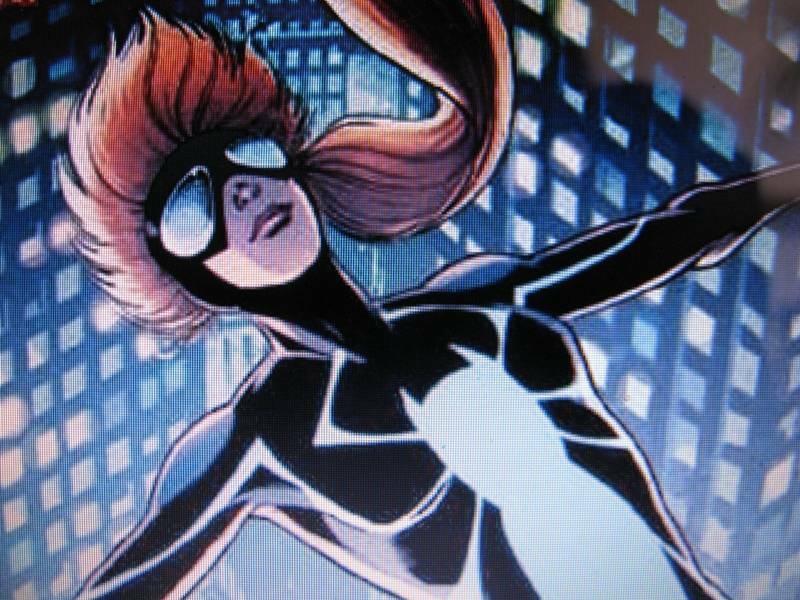 Now this couldn't have been an option because at the time this decision came down, Spider-girl was a member of the Young Allies (a series that was recently canceled). There's four people right there and a ton more, but they played it safe. They didn't want to do something different or original. 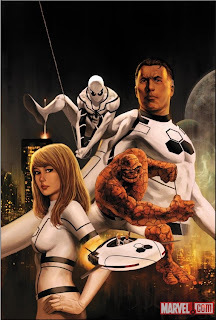 Granted, Spider-man has never "officially" been a member of the Fantastic Four, he's been by their side so often that he practically was a member. Now he's officially a member. That is until they reach issue # 600 where they will bring back Johnny. Sigh. "The House of Ideas" huh? Well, not original that's for sure. Oh, by the way, I hate the new costumes too.